Prevention Point in Kensington with Jose Benitez and Ronda Goldfein, of Safehouse’s board here in the “Drop in Room”, Friday October 5, 2018. In January, when Philadelphia health officials announced their plan to allow — but not fund — the opening of a safe injection site, we answered your questions about how these facilities function in other countries. They've existed for decades in Canada and Europe, but federal drug laws, community concerns, and an enduring stigma against drug use have prevented one from opening in the United States. Now, with the incorporation of Safehouse, a nonprofit whose aim is to open the city's first safe injection site in the coming months, here's what you need to know about how a site might work in Philadelphia. Former Gov. Ed Rendell is on the board of directors, along with Jose Benitez, director of Prevention Point, the city's only needle exchange, and Ronda Goldfein, executive director of the AIDS Law Project of Pennsylvania. The nonprofit has also set up an advisory board that includes some of the city's most prominent health and humanitarian leaders, including Ana V. Diez Roux, dean of Drexel University's Dornsife School of Public Health; Larry R. Kaiser, CEO of Temple University's health system; Thomas Farley, city health commissioner; David Jones, commissioner of the city's Department of Behavioral Health and Intellectual disAbility Services; and Sister Mary Scullion, president and executive director of Project HOME, a housing, poverty, and homelessness services organization. Where will Safehouse be located? The organization is still searching for a location, and advocates have long called for multiple safe injection sites around the city. However, Kensington is the most likely first location for a site; It's the epicenter of the city's opioid epidemic, has the highest overdose death rate in the city, and is home to nearly half of the city's homeless population, largely because of the opioid crisis. Will taxpayer dollars support the site? 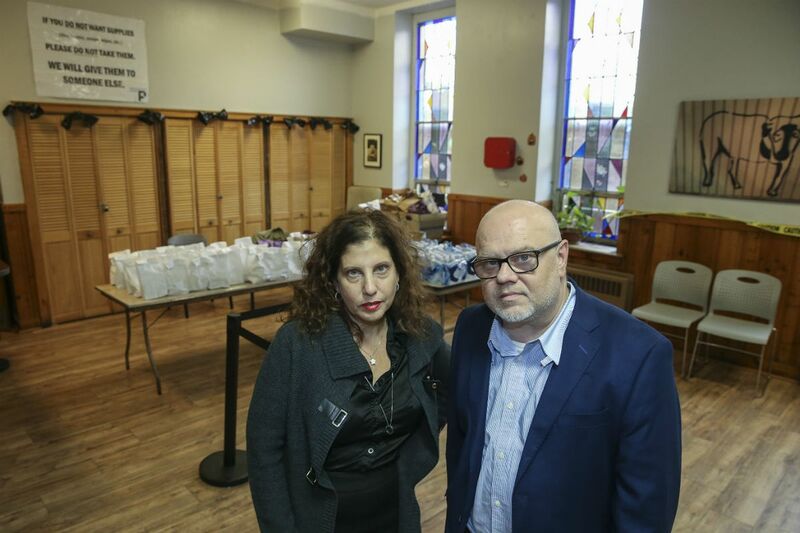 The city has been adamant that it will not fund a site, though health officials have indicated they'll help provide outreach services there for housing and drug treatment. Safehouse is looking to raise about $1.8 million to launch and operate the site in its first year. The site will require about $800,000 a year to operate after that. So far, the group has raised $200,000. Research indicates that the sites tend to be used by people who do not have stable housing. About 75 percent of Philadelphia's fatal overdoses in 2017 occurred in private homes. Early this year, University of Pennsylvania researchers surveyed people with addiction, who told them they would use the sites not only because of the health benefits but also because they don't want to use out in the open, especially where children might see them. Rendell has said that if a site exists, it could also attract people who have homes but who want the protection of using around other people. In 2016, the son a close friend of Rendell's died of an overdose after using heroin alone in his parents' house. His death is partly what's driving Rendell to back Safehouse. No one under age 18 will be allowed to use the site; Safehouse's website, safehousephilly.org, says staffers will refer minors to age-appropriate services. No smoking of any drugs will be allowed because of ventilation issues. Otherwise, Goldfein said, "we aren't assessing the drugs people use — just protecting them from a fatal overdose." Safehouse will also ban drug dealing, drug sharing, exchanging money, and sharing of needles or other drug-consumption equipment. Participants won't be able to help each other use drugs, and staffers won't be able to help clients use drugs, either, though they can advise clients on how to inject without causing a skin infection. Staffers cannot handle any of the drugs participants bring in. Before leaving the site, participants will have to dispose of the needles they used in approved receptacles. What will happen when a client arrives? Then, clients who want to use drugs at the site will be sent to a "medically supervised consumption room" and given clean needles, as well as fentanyl testing strips. Since almost all of Philadelphia's heroin has been contaminated with the powerful synthetic opioid fentanyl — and sometimes with other adulterants, like the synthetic cannabinoid that caused two major overdose spikes this year — this is crucial for users who want to reduce their risk of overdosing. Safehouse will not distribute "any opioid or narcotic" except FDA-approved opioid-based treatment medications like methadone and suboxone, which are considered the gold standard of treatment for opioid-use disorder. After clients use their drugs, they'll wait in a "medically supervised observation room." Anyone who overdoses will be revived with an overdose-reversing spray. There, they can get care for the dangerous abscesses that can form when an intravenous drug user misses a vein, and referrals to primary care, social services, and housing. Staffers will also offer them medication-assisted treatment that they can start on-site. On their way out, clients will again be offered treatment and other services, and they'll leave with a dose of an overdose-reversing spray. How will the site be policed? Safehouse officials have said they don't believe they'll be operating in defiance of federal law (though federal authorities disagree), because the site is a public-health measure designed to save lives. "Safehouse hopes to have a mutually beneficial, productive partnership with law enforcement, as we have a shared goal of making the community safer," the group wrote on its website. Police Commissioner Richard Ross has said he still has unanswered questions about how his officers will interact with a site. Inspector Ray Convery, head of the department's East Division, which polices Kensington, has said he's "neutral on the idea" and wants a better sense of how a site would operate. His police officers are all trained to reverse overdoses.